Sweet Tiki!! If you are looking for a snuggly, spunky, fun girl to go for walks with you, lay on the couch with you, and keep your legs warm when you sleep at night, this is your girl! 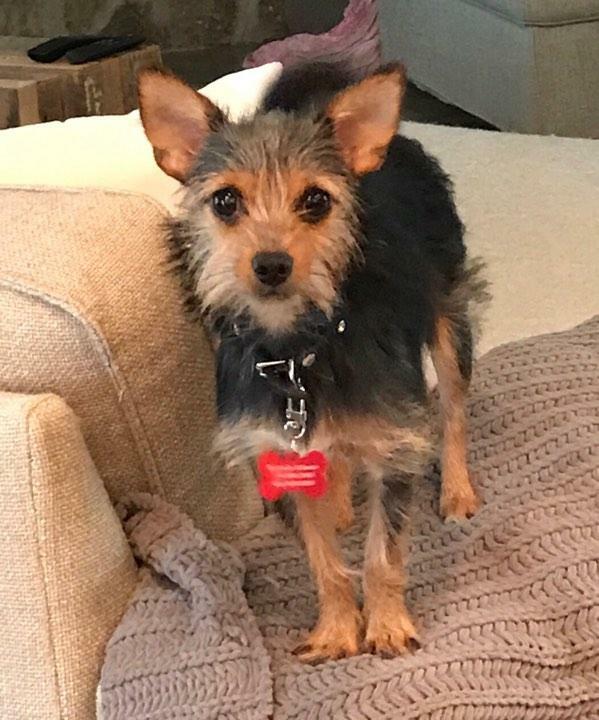 She is a whopping 7lbs of spitfire personality! She is crate trained and has only had one accident in her foster home. She is young enough though, and very smart, so will catch on to your schedule in no time! She is a MAJOR door darter... If the door is open, she runs out of it, so for this reason, we need her to go to a home with older children only who understand the bad things that can happen if the door lingers. She loves toys, treats, and most of all snuggles. If you sit down, she is right beside you, curled up and asleep. She had "stranger danger" the first few days in her foster home and it took her a little while to warm up to the man in the house, but now she follows him everywhere and insists on keeping his lap warm when he is sitting down. But this is something we think potential adopters should know to be prepared for!